These colossal sculptures in situ represent the expert craftsmanship of the bygone era, and are an inspiration to the sculptors and architects of the modern world. 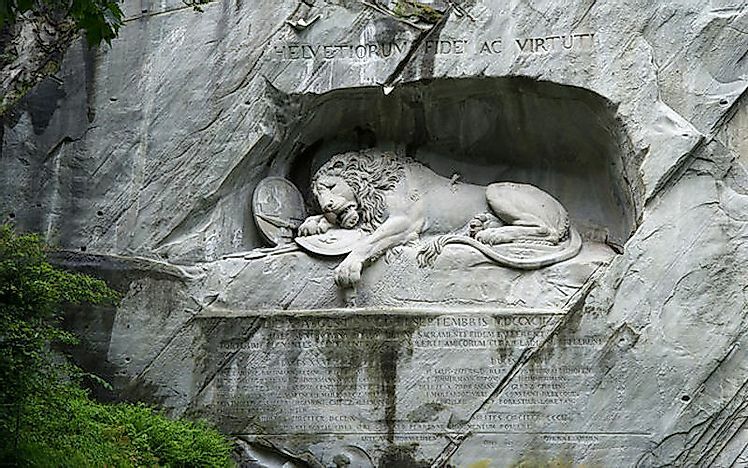 The Lion Monument of Lucerne, Italy. A sculpture "in situ" refers to sculptures which are carved in place, many during ancient times. 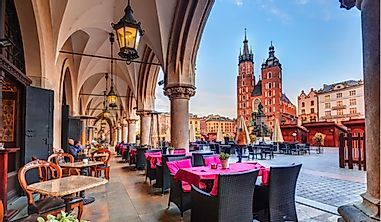 Located in the Polish town of Wieliczka, the Wieliczka Salt Mine, opened in the 13th century, was used to mine table salt. The mine stayed in operation until 2007 when it was one of the oldest salt mines in the world still in operation. 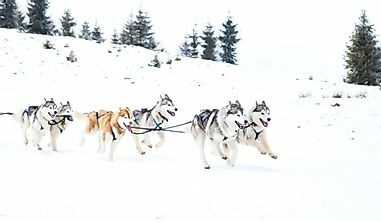 The Żupy krakowskie Salt Mines company owned the salt mine from the beginning. The mine is not only a site for salt extraction but its builders have ensured that it appeals to the aesthetic sense of visitors to the mine. Dozens of statues and four chapels have been carved into the walls of the mine. The artistic wealth of the salt mine has been supplemented over the years by sculptures by modern, contemporary artists. Today, the Wieliczka Salt Mine is regarded as a Historic Monument of Poland and is maintained by the National Heritage Board of Poland. 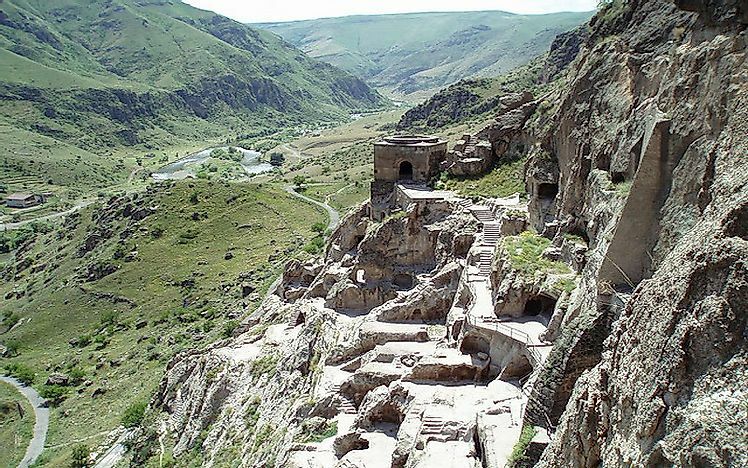 A cave monastery in southern Georgia, Vardzia has been excavated from the Erusheti Mountain’s slopes on the Kura River’s left bank that is about 30 km from Aspindza. 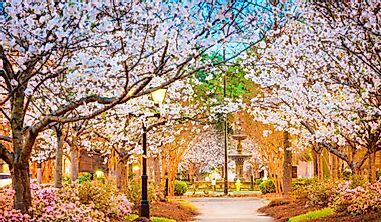 The major construction period was during the latter half of the 2nd century. The caves here extend for a distance of about 500 meters and up to 19 tiers. After the Ottoman siege of the region in the 16th century, the site was largely abandoned. Rock villages and cave churches feature at the site. The central monumental and spiritual feature of Vardzia is the Church of the Dormition. The paintings of the church inspired Medieval Georgian mural painting in the future and are thus of crucial significance. Episodes from the life of the Christ are painted on the upper walls and vaults of the Church. 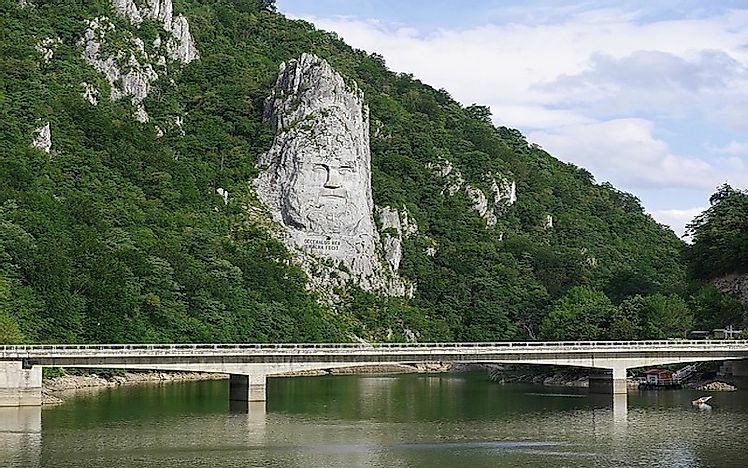 The rock sculpture of Decebalus represents the face of the last king of Dacia, Decebalus, who fought against the Roman emperors to ensure the freedom of his kingdom which is modern-day Romania. The carving is 42.9 meters high and 31.6 meters wide. The sculpture, a relatively recent one, was carved out on a rocky outcrop of the Danube River at the Iron Gates, Romania, between 1994 and 2004. It is Europe’s tallest rock relief. The sculpture was commissioned by Iosif Constantin Drăgan, a Romanian businessman. 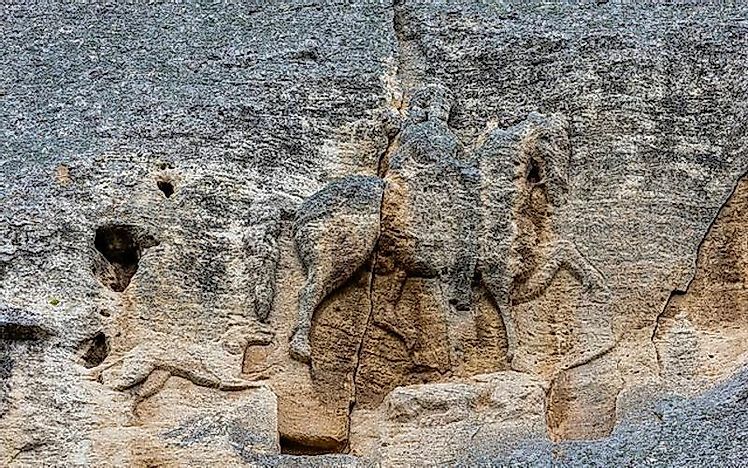 The Madara Rider, also known as the Madara Horseman, is a notable rock relief carved on the Madara Plateau in northeastern Bulgaria. 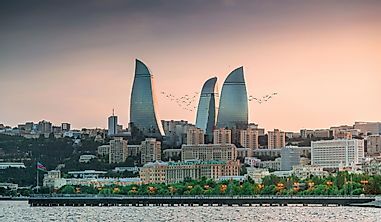 The monument belongs to the early medieval period and was probably built in the late 7th or early 8th century when Bulgar Khan Tervel ruled the region. 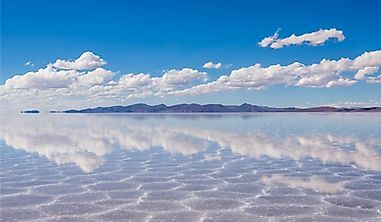 The site was enlisted as a UNESCO World Heritage Site in 1979. The Madara Rider sculpture, 75 feet above sea level in a nearly vertical 328 feet high cliff, represents a majestic horseman thrusting a spear into a lion at the feet of his horse. 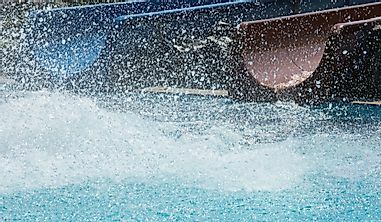 A dog is shown running behind the horseman. Erosion has denuded certain other features of the sculpture like the bird in front of the horseman and the garments of the horseman. There is uncertainty surrounding the purpose and symbolism of the sculpture and the actual masonry tradition behind the work. The rock below the image of the rider bears three partially preserved texts written in Medieval Greek that conducts important information related to Bulgaria during the Medieval Times. 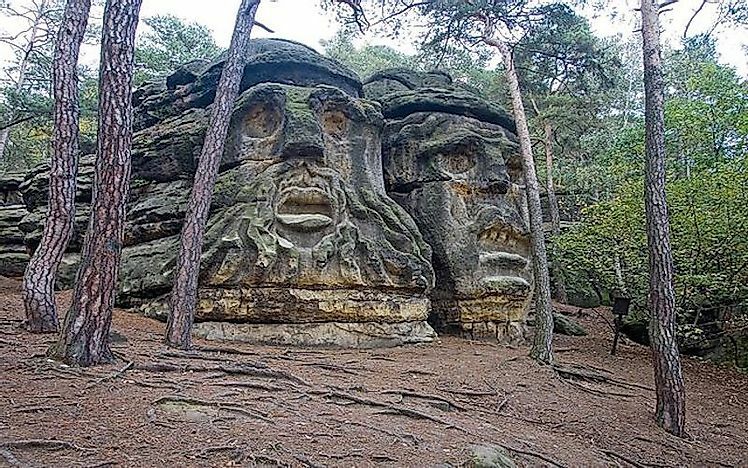 Hikers exploring the forest above the Czech village of Želízy in the country’s Protected Landscape Area Kokořínsko are bound to meet a disturbing yet noteworthy sight: the Čertovy Hlavy or the "Devil Heads" monument, one of Europe’s most iconic colossal sculptures in situ. Two enormous demonic faces with empty eyes stare back at those who visit the site. The monument was the work of Vaclav Levy in the mid-1800s. The stone heads are about 30 feet tall and although they have suffered slightly from the ravages of time, and the features have become less distinct, they are still the most prominent features of the entire landscape. 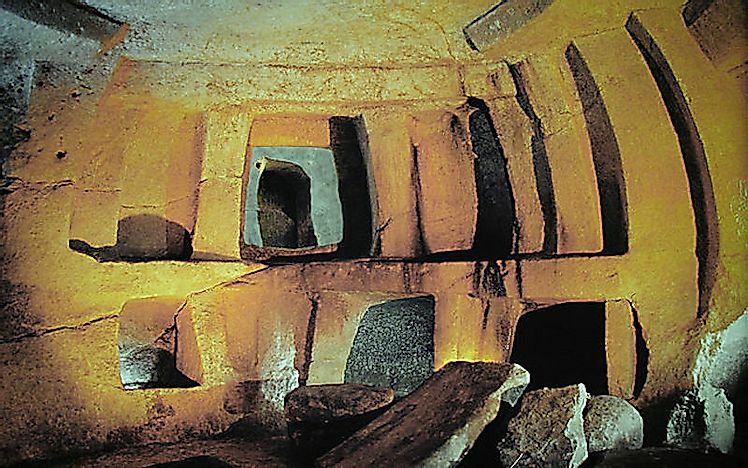 A Neolithic subterranean structure, the Hypogeum of Ħal-Saflieni dates back to around 3,300 to 3,000 BC (Saflieni phase as per Maltese prehistory) and is located in Malta’s Paola. The Hypogeum, meaning “underground” in Greek was possibly a necropolis and an underground sanctuary during its time. The remains of more than 7,000 individuals have been discovered at the site. The Hypogeum was accidentally discovered by workers who cut through its roof while on a housing development project. They tried to hide the news initially but soon the news of the discovery spread, and excavations started. The site was opened to public visitors in 1908. Currently, only 80 visitors are allowed inside per day. The Hypogeum was possibly built into an underground cave that was extended using crude tools. There are three superimposed levels of the Hypogeum that have been hewn into the globigerina limestone of the cave walls. Halls and chambers are interconnected via a labyrinthine series of steps, doorways, and lintels. The upper level was possibly first constructed and subsequently extended further down. Ceilings and walls bear paintings and carvings and a wide range of objects like pottery, clay beads, carved figures, axe-heads, etc., have been recovered from the site. 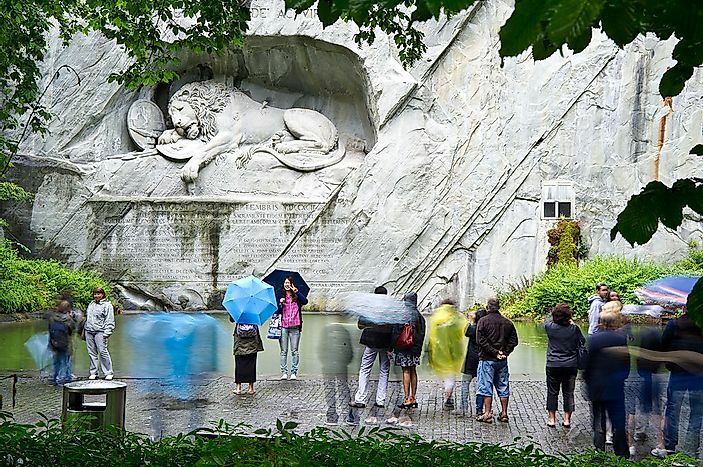 Also known as the Lion of Lucerne, the Lion Monument is a rock relief in Switzerland’s Lucerne city. The monument was designed by the Danish sculptor, Bertel Thorvaldsen, and executed by Lukas Ahorn between 1820 and 1821. The Lion Monument was built to commemorate the Swiss Guards who lost their lives during the French Revolution in 1792. An officer of the Swiss Guards, Karl Pfyffer von Altishofen took the initiative to build a memorial to commemorate the massacre of the Swiss Guards. In 1818, he started collecting money for the purpose. The sculpture was hewn in a former sandstone quarry and is 10 meters long and 6 meters high. The sculpture represents a dying lion impaled by a spear that covers a shield bearing the symbol of French heraldry. Another shield with the Swiss coat of arms also lies beside the lion. The names of the officers and the number of soldiers who lost their lives in the massacre are inscribed below the sculpture.